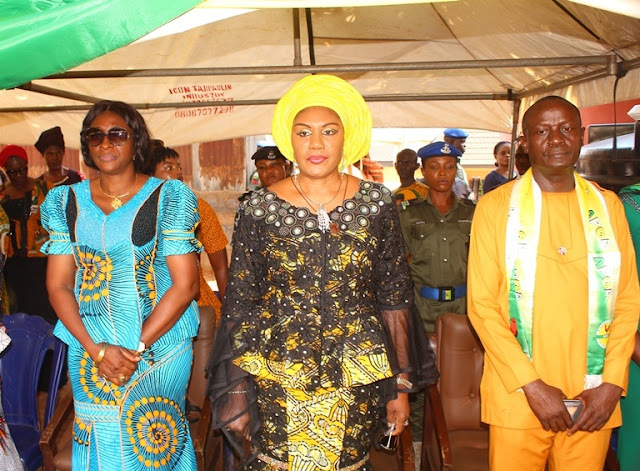 The wife of Governor of Anambra State, Chief (Mrs.) Ebelechukwu Obiano (Osodieme) has urged ndi Anambra to be their brothers and sisters keepers by helping the less privileged in the society. Osodieme made the plea Friday at the commissioning of 2-Bedroom bungalow built for a widow at Umudioka, Awka, Anambra State. The building project was spearheaded by the Transition Chairman of Awka South Council Area, Sir Leo Nwuba, to assist Mrs. Roseline Anene who on March 2018 successfully recovered and was rehabilitation at the Nteje Home for mentally challenged. Mrs. Anene was declared missing and presumed dead by her family was reunited with them after 35 years The Nteje facility is managed by Caring Family Enhancement Initiative (CAFÉ), NGO of the wife of the governor in collaboration with the state Ministry of Women Affairs. 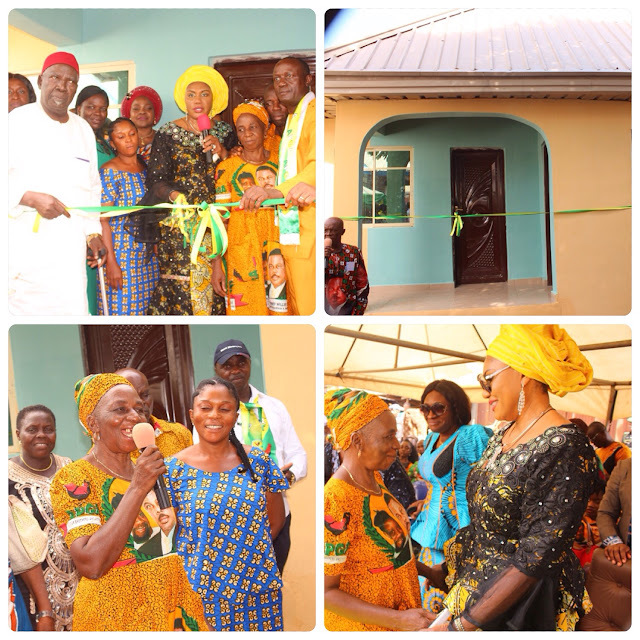 Presenting the keys to the house to the sixty-seven year mother of two, Osodieme, commended the Chairman for taking after CAFÉ example and providing a house for Mrs. Anene. She described the story of Mrs. Anene whom everyone thought was Yoruba, because she normally speaks the language with her whenever she visits; as touching and heart-rending. Osodieme recounted the woman’s story of after being picked-up and taken to the Nteje Home where she successfully responded to treatment before eventually revealing that she is from Umudioka in Awka South Council Area. Earlier, Sir Nwuba commended Osodieme for the successful treatment and rehabilitation of Mrs. Anene, noting that her work of charity inspired him to support the widow in line with what CAFÉ is doing across Anambra State. He pledged to cater for the feeding costs of the beneficiary for one week. In their remarks, the Member Representing Awka South One Constituency at the State House of Assembly, Dr. Nnamdi Okafor, and his Orumba South counterpart, Princess Nikky Ugochukwu, the Commissioner for Social, Women and Children Affairs, Lady Ndidi Mezue, as well as the Commissioner for Transport, Hon Uche Okafor, commended Osodieme for giving the less privileged reason to smile through her many charitable deeds. They also thanked the Chairman for the free house built and donated to the widow. Hon Okafor, also pledge to furnish the house with chairs and electronics. In her reaction, Mrs Anene, said that Osodieme has written a story that will be told over generations and thanked the Chairman for providing her a place to live. Her son, Mr. Chukwudi Anene, equally thanked Osodieme and everyone and noted that the reunion with his mother has changed his life for the better.